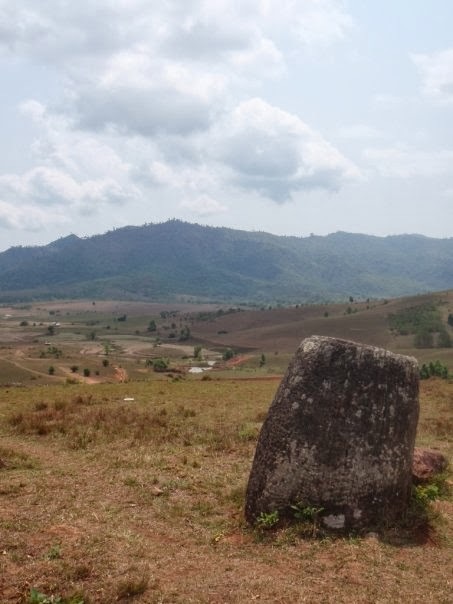 Luang Prabang to Phonsavan, the Plain of Jars. I was mistaken no glass jars, big limestone ones made by the the locals a hundred years ago or so. The town was a total dud but the jars were worth seeing. It is so interesting that there are dozens and dozens of jars but no one knows why they are there. In two years there are some archaeologist coming to discovery their history so keep your eyes out for the answer. 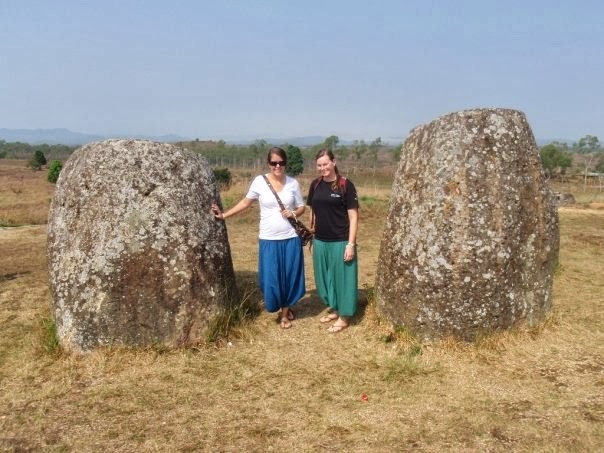 The rumor is that the jars were made to keep Lao Lao (Laos whiskey) but I don't believe it unless the village people were total alcoholics. I mean we are talking about gallons of whiskey being stored. They are going to have to come up with something slightly more believable. The jars are hard to describe. They are so oddly placed and rather large. Some where much taller then me. 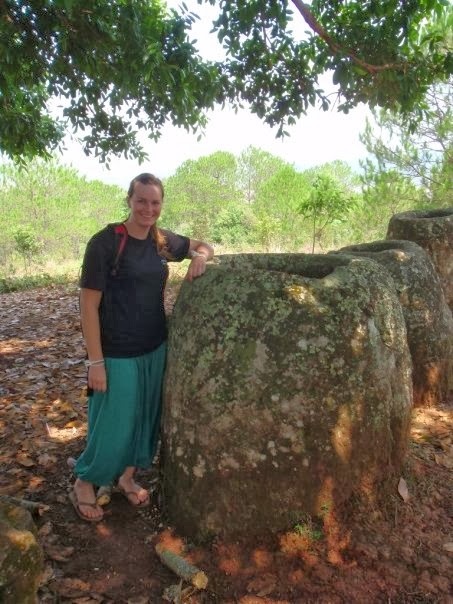 They even had giant limestone lids. Along with the jars there were giant crater holes from bombs that went off back in the early 70's and also a cave that was used as a hospital during the war, battler or bombing (the name of what it was I am not quite sure).